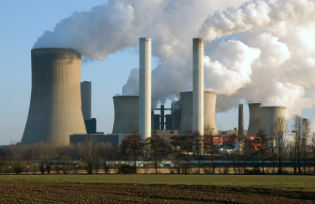 Chief Executive of The Institutional Investors Group on Climate Change suggests that Investors are likely to take utilities to task if they fail to disclose climate risks. Are electric utilities – companies that produce and supply electricity – prepared for the changes that will follow from policies and actions put in place to curb climate change? And if not, why does this matter? Most people’s pensions include some exposure to power companies. European utility companies, which did exceptionally well in the years before the adoption of the EU’s 2020 climate-energy framework in 2007/2008 (which began to introduce a much larger share of renewable energy), have been underperforming since then. For a number of reasons, including the rise of renewables, the electricity sector is increasingly fragmented. This has rendered capital-intensive infrastructure, such as new gas and coal-fired power stations, increasingly uneconomic. In turn, this has raised risks for the big power companies who continue to rely on carbon intensive generation. The Paris Climate Agreement adopted last December, and now signed by 177 countries, could speed up this transformation of power generation and distribution. This would require a massive shift away from a global economy dependent on fossil fuels and towards one built on the back of low carbon energy sources. China was one of the first countries to sign the Paris Agreement and is well on the way to becoming a key player in the ‘low carbon transition’ required to implement it. For instance, China installed 7.1 gigawatts (GW) of new solar PV power capacity in the year ending April 2016 – a feat that nearly doubled the nation’s photovoltaic power generation. China plans to increase energy consumption from low-carbon sources to around 20% by 2030 – which requires China to add 800-1000 GW of low-carbon energy, more than the current capacity of coal plants in China. According to recent research from North China Electric Power University (covering six of the country’s most successfully coal-fired provinces) China’s coal sector may well become unprofitable during the next few years. This may partly explains why China recently decided to cancel construction of around 200 new coal-fired power plants (representing around 105 GW of generating capacity). Investors appreciate that low carbon transition will challenge many power companies. In particular, they know that business strategy and capital allocation decisions made today by utility companies will determine their sustainability and profitability for decades to come. As result, a growing number of investors, particularly pension funds, want utility companies to do far more to get ready for – and take advantage of – the low carbon transition. That is why a global network of four organisations (including the Asia Investor Group on Climate Change) representing more than 270 institutional investors and assets worth over €20 trillion (148 trillion yuan), on April 29 published a new guide setting out precisely what they expect electric utility companies to do in order to address climate related risk. This guide explains six key expectations relating to governance: transparency and disclosure; business strategy (including efforts to simulate, or ‘stress test’, how any company operates under national rules or public policies put in place in order to implement the Paris Agreement); operational efficiency; de-carbonisation (changes to wean the business off fossil fuels) and efforts to increase the use and integration of new technologies in order to benefit households and the environment. When it comes to consumers, investors warn utility companies they will need to show how much electricity they actually help customers to save (through the adoption of energy efficiency measures) as a percentage of total electricity sales. Increasingly, any simple measure of overall customer satisfaction won’t be sufficient. Utilities claiming to be taking climate action will have to explain what they are doing (or not doing) to develop new partnerships with solar companies – and how much they are investing to develop ‘smart grids’ and energy storage solutions. In addition, investors will expect utilities to be able to show not only how many consumers are using a smart meters, but also how much this technology is benefiting their customers. Stephanie Pfeifer is Chief Executive of The Institutional Investors Group on Climate Change (IIGCC), a forum for collaboration on climate change for investors. She has worked in investment banking for over 7 years, including as senior economist at Morgan Grenfell and Deutsche Bank in London.